Make no mistake. Florida State does not have a talent problem. Florida State has a development problem. For whatever reason whether it be poor coaching, misevaluating the character of an individual, or some other external factor, there have been an alarming number of elite recruits who have worn the garnet and gold in recent years only to turn in a lackluster career that leaves us all scratching our heads wondering at what could have been. By no means am I here to personally attack any individual who gave his heart and soul to this program, but simply didn’t possess the physical traits necessary to make an impact on the field. However, I will not shy away from the fact that once again here we are staring down the barrel of another once-promising career that ended in frustrating disappointment. Jeff Luc: The five star inside linebacker battled injuries and struggled to pick up the defensive playbook. He transferred out after his second year. Christian Green: Another guy who was never really a headache off the field, but didn’t live up to the hype of being the number four high school receiver in the nation. Injuries played a role, but so did the glaring deficiencies at the receivers coach position. Nick Waisome: The undersized defensive back come in highly touted for his quickness and overage skills, but sort of got lost in the shuffle while trying to compete for playing time with future NFL studs like Ronald Darby, PJ Williams, and Jalen Ramsey. It happens. Tough break for a tough kid. Mario Pender: He came in as a five star running back and was slated to be the next difference maker after the post-championship departure of Devonta Freeman and James Wilder Jr. But then Karlos Williams moved to halfback, Dalvin Cook happened, and Pender found himself in the custody of the Tallahassee Police Department on charges of domestic battery by strangulation. Ryan Green: Another one of Dalvin Cook’s depth chart victims. Still, one has to wonder how the high school All American and No. 3 overall running back nationwide was never really able to break through and contribute when it counted. Ermon Lane: One of the best teammates you’ll find anywhere and without a doubt Nole-blooded through and through, unfortunately, his FSU career didn’t quite live up to the hype. I’m going to go out on a limb and chalk this one up to poor receivers coaching. There’s no excuse for a guy that big, that strong, and that athletic to not develop into a superstar. Kain Daub: One of the gems of the 2014 recruiting class never even sniffed the field for the Seminoles after a short-lived FSU career that was marinated in headaches and served with a side of discipline issues. Sh’Mar Kilby-Lane: The four-star recruit who was supposed to be the answer to Florida State’s perpetual lack of depth on the linebacking corps couldn’t make the grades and found himself on a junior college roster by the 2017 season. De’Andre Johnson: It is well documented that the All-American who was supposed to compete with Deondre Francois for the starting quarterback job saw his days as a Nole come to a screeching halt after surveillance videos emerged of him punching a girl in the face at a Tallahassee nightclub. He is one of three former FSU signal callers who found stardom through the Netflix documentary series Last Chance U, which follows former major college football stars trying to find redemption at the JUCO level. Da’Vante Phillips: Heralded by coaching staffs across the country for his size and strength with the potential to be a real game-changer in the receiver corps, Phillips’ FSU’s career was regrettable, to say the least. He parted ways with the team while dealing with five felony charges related to pocketing the difference from fraudulent money orders. Malik Henry: Henry was the No. 1 quarterback in the 2016 high school class. He was advertised to be an immediate impact player with an off-the-charts football IQ and sniper-like accuracy. 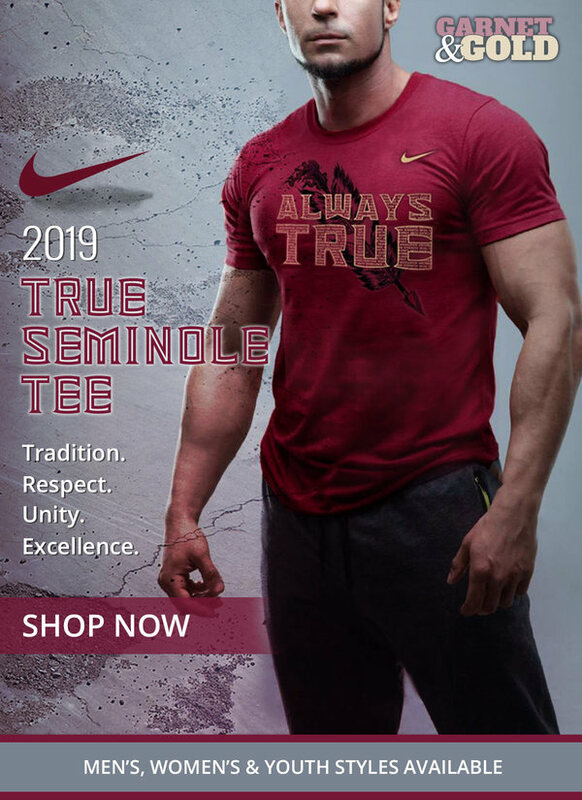 Undisclosed violations of team rules left him suspended indefinitely after just one season with the Noles. His frustrating lack of any willingness to receive coaching was on full display in the latest season of the aforementioned Last Chance U. And now most recently, Deondre Francois. Obviously one has to account for the fact that there will always be a percentage of recruits who turn out to be busts, but clearly, FSU has been producing an inexcusably large amount of wasted talent. So who is to blame? Well, the argument could be made that the staff was riddled with incompetence across the board, but we’re talking about a coaching staff that won 29 games in a row and a national championship, so I don’t think that’s it. You could also argue that there have simply been too many guys allowed to don the garnet and gold who don’t possess the type of character you want in your locker room. Maybe, but some of the guys I just listed are absolute stand up citizens. I don’t think it’s that either. The reality is that failure and underachievement have been so prevalent in this program recently because of the development of a culture that breeds failure and underachievement. Somewhere along the line leaders stopped leading. A chemical change occurred in the lifeblood of the program. The culture that not too long ago was producing unparalleled success at every turn has devolved into a toxic slime that facilitates failure and rewards selfish actions. Fortunately for Willie Taggart, this changing of the guard at quarterback is an opportunity to say out with the old and in with the new. Now is the time to implement a leadership-driven culture that promotes unselfishness and sustains itself on the principle of finding the guys who really want to be here. Florida State has always been especially vulnerable to the reality that sometimes great football players aren’t always great citizens. And every Seminole fan is aware of the extreme disdain that the national media seems to have for the garnet and gold, so we as a fanbase have to be especially prepared to receive criticism at every turn. The reality is that FSU, much like our two main rivals to the south, will always be a magnet for hooligans. Coach Taggart has a choice to make. Will he choose to be the “player’s coach” he has established his reputation as? Or will he adapt some more disciplinarian tendencies in order to ensure that FSU steers clear of investing time, effort, money, and resources into more players who are going to just end up in the news for all the wrong reasons.